If somehow you stumbled across this post and you don't know what a Keratin Treatment is, Keratin is the structural building block of your hair. When someone receives a Keratin Treatment it is a semi-permanent hair smoothing, hair relaxing, curl smoothing professional treatment, and can only be done by trained professionals. Typically, someone will get a Keratin Treatment to straighten their hair and rid it of frizz! At Rejuvenol, we have 6 different Keratin Treatments (Boosted, Vanilla, Original, 24 Hour, 1 Hour, Veloz) that can be beneficial to anyone that is looking for smooth, frizz-free hair. What many people don't know though, is that there is hair preparation that needs to be done before the treatment, and tons of care that needs to be followed after the treatment is done. Coloring Your Hair: Although this is not a necessary step if you are someone that likes to color your hair, make sure that you color it at least one week before your treatment, because we would not recommend coloring your hair after. Not only does it make it more difficult for the color to penetrate into your hair, it can also start to break down your Keratin Treatment. The benefit of doing it beforehand is that the Keratin will actually seal in the color, and make it more vibrant. Use a Clarifying Shampoo: This is a MUST before you receive your Keratin Treatment, this will clear your hair of any oil or product residues that remain in your hair and would keep the Keratin from doing its job. Check out our Clarifying Shampoo here! Do Not Buy Cheap Shampoos: Make sure that you choose your shampoo and conditioner wisely, and make sure to put your drugstore shampoo away. You should look for gentle shampoos that contain keratin and will progressively enhance your treatment. You want to avoid Sodium Chloride in your shampoos and conditioners. The reason that this are bad is that they will actually dissolve the keratin coating, and wash out your expensive treatment. Lucky for you, we have After Keratin Shampoo and Conditioner here! Make sure to avoid clarifying shampoos after your treatment, as they WILL wash the keratin out of your hair. Don't Wash Your Hair Too Much: Keratin Treatments always have a span of time that they predict will stay in your hair, most will stay for 2-6 months. One of the big factors that changes this time frame is how much you wash your hair. As I said earlier, Keratin Treatments are SEMI-PERMANENT which means they will wash out gradually. The key to maintaining your keratin treatment for longer is to wash your hair less. A way to do this is to use dry shampoo twice daily when you don't wash your hair. What Not To Wear: For 3 weeks after your treatment, you should not style your hair, not wear headbands, not wear clips, not wear hair ties, not wear sunglasses on your head, or putting anything else in your hair. The reason why is because Keratined hair is still malleable as it is set into your hair, so adding any of these accessories to your hair will add dents and get rid of your smooth hair. Take a Break From The Gym: Put off your gym routine for at least 2 weeks after your treatment, excessive sweat will force you to wash your hair more, and the sweat on your scalp will interfere with your treatment setting in. Ditch The Cotton Pillowcases: Silk or satin pillowcases is something you should splurge on after your treatment. Cotton pillowcases absorb moisture and leave your hair frizzy and dry, it will also be easier for your hair to tangle. Using a silk or satin pillowcase reduces friction leading to less breakage, and won't absorb the excess moisture. Don't Add Extra Chemicals: Bleaching, Hair Color, Chlorine from the pool, all should be avoiding. All of these chemicals break down the keratin and shorten the life of your Keratin Treatment. Avoid Water: For the first THREE DAYS after your treatment, make sure to avoid water at all costs, no showering, no rain, no pool. Ditch The Heat: High heat from hair styling tools can actually melt away the Keratin Treatment, don't go above 300 Degrees Fahrenheit to straighten or curl your hair. Make sure to also use a heat protection spray on your hair to protect against damage. Cold Water Is Best: Make sure not to shower with hot water, this opens the cuticle and allows the hair to be more prone to damage. We suggest washing your hair with lukewarm water, followed by a cool rinse. We suggest the cool rinse because it shocks your hair cuticles to shut which prevents frizz and tangles. Your Towel Matters: Using a rough cotton towel not only damages your hair making it more prone to frizz, but it also creates creases in your hair. We suggest using a microfiber towel or a cotton shirt to gently dry your hair. Ditch The Brush: Although you may wake up some mornings with your hair all over the place, try to avoid brushing out kinks as much as possible. 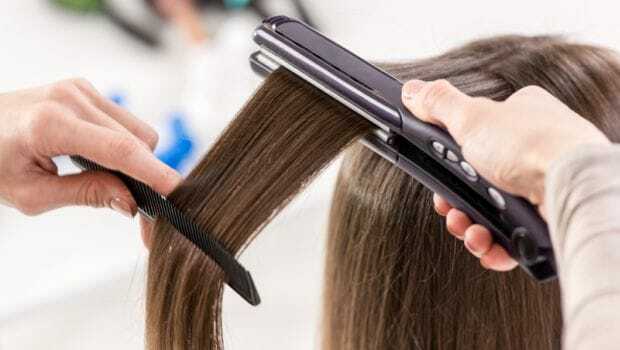 Instead, use your blow dryer or flat iron to try to straighten your hair back gently. If you MUST brush your hair, invest in a soft boar bristle brush to use before bed and when you wake up. 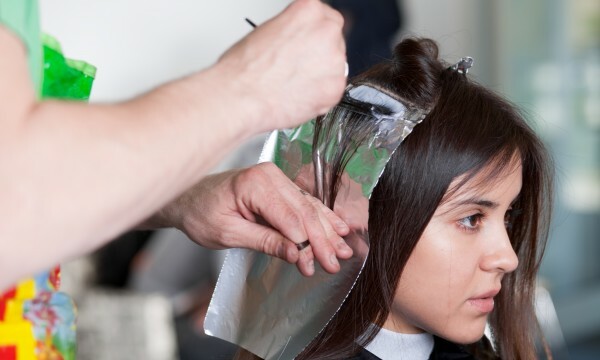 Although this may seem like a lot, if you would like to get the most out of your Keratin Treatment, following these steps can actually help you to make your Keratin Treatment last as long as possible. If you have any other tips, or any questions about anything from this post feel free to comment below! Are you a professional and are interested in any of our treatments? Send us an email to find out more at vmattei@rejuvenol.com !